We understand that high-quality standards should be maintained throughout the offerings. And, for attaining this objective, we make use of superior-grade raw material for manufacturing the same. Stay rest assured for the products that we offer as they will remain damage free. For this, we make use of only premium packaging material for the packing of the products. 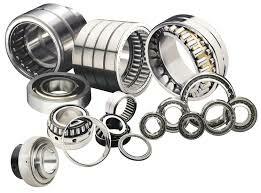 The Industrial Bearings are used to separate two moving parts and reduce the friction.